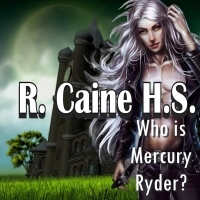 Review for R. Caine High School, Books 1-3, There aren't enough stars for this one! There aren't enough stars for this one! The gods know that no one plays games better than teens. R. Caine High School combines gods, games with a tarot twist to get a radical take on young adult fiction. There aren't enough stars for this one! The depth of character and world building in R Caine HS is phenomenal.